Virgin Trains USA (formerly Brightline) may soon allow you to buy a ticket from downtown Miami with a connection to airlines at Fort Lauderdale or Orlando Airport, similar to the Rail & Fly tickets sold in Europe. The company is planning interline agreements with all major airlines, including American, Jetblue and Southwest. The plans were revealed in a roadshow presentation for a $1.5 billion bond offering, according to FlightGlobal. Virgin Trains will begin service to Orlando Airport in the third quarter of 2022. The station will be inside the airport’s South Terminal, with no connection required. A new stop at Fort Lauderdale Airport is said to be in active negotiations (although a spokesperson for FLL said there hasn’t been anything recently). Virgin Trains’ tracks run already run within airport grounds. 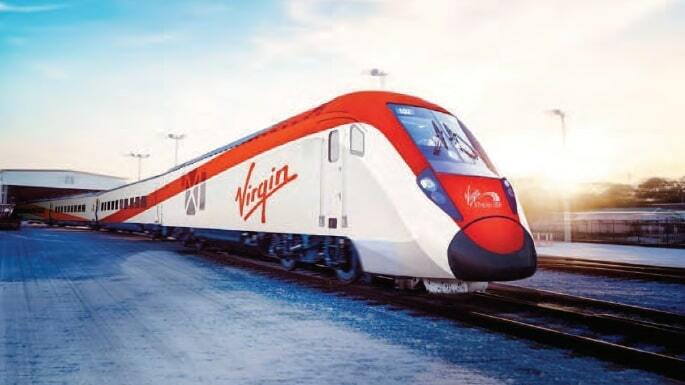 The Virgin Trains travel time from Miami to Orlando will be 3 hours and 15 minutes. The company expects 6.6 million annual passengers on the route.